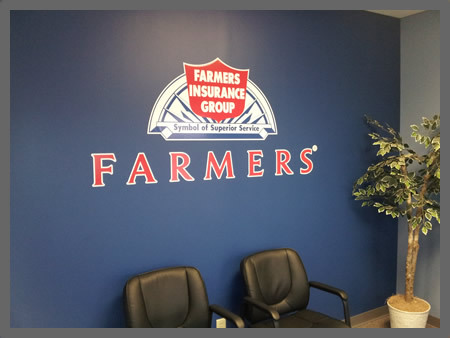 Custom vinyl wall lettering & graphics are all the rage. At Affordable Signs we make ordering custom vinyl wall lettering graphics quick and easy. Your lettering is cut by a computerized vinyl plotter ( cutter ) and pre-masked to make installation quick & easy. Our vinyl wall lettering gives you all the advantages of painted wall letters with none of the disadvantages. We are your vinyl wall lettering specialists and can assist you with all your vinyl wall lettering needs. Whether you are looking for custom wall art, wall quotes, vinyl words, nursery wall lettering, or vinyl wall monograms, we're your guys! 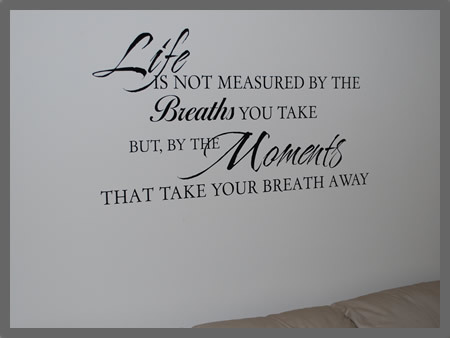 Our custom vinyl wall lettering will add style and an extra does of personality to any interior space in your home. These wall art & wall sayings go well in your home, office, library, entry way, baby nursery room, child's room, kid's room, apartment, dorm room, bathroom, kitchen or even laundry room. Vinyl Wall Art, Wall Sayings or Wall Art Sticker is the hottest in Home, Office, or School Decor! Decorate any room in your home with easy to apply vinyl wall art decals. Modern wall art decals for decorative wall decor. Some refer to these Vinyl Wall Decals as graphic wall art, Vinyl Wall Art Sayings, Contemporary Wall Art, or vinyl wall accents. Inspirations sayings will: inspire, promote, personalize, decorate, motivate, express, instill confidence, encourage individuality and even add character to any room, office or classroom. Inspirational wall art can be used on walls, glass, mirrors, furniture, ceramic tile, metal, wood and more! Inspirations Wall Art has stick on wall sayings for family, sports, religious and music & dance. All of our material is made of high quality vinyl that will last for years, perfect for interior decorating. PLEASE NOTE: Wall lettering will not adhere well to certain surfaces such as heavily textured walls, brick, concrete, stucco, matte paint, suede paints, and sand paints.